Evernote Smart Notebook – Is it Worth it? 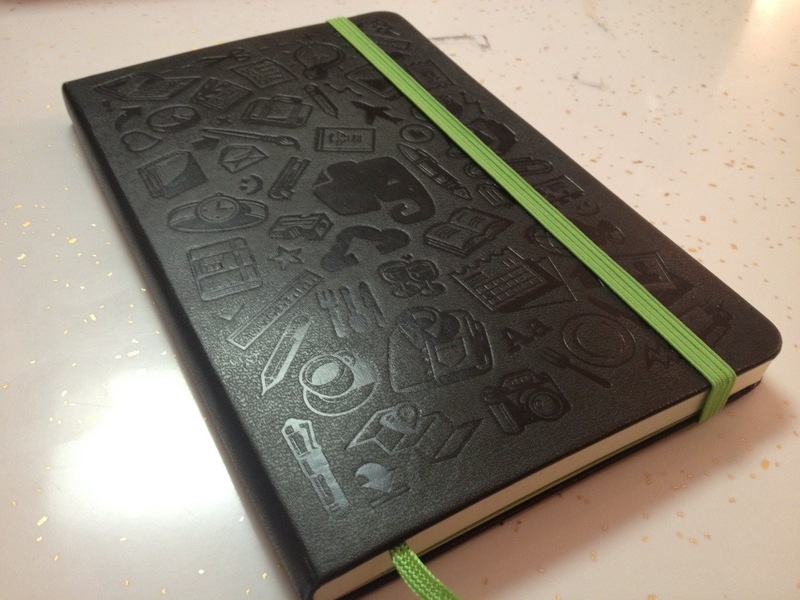 I just received my Evernote Smart Notebook from Moleskine. I have been wanting to try this paper/digital tool for a while. 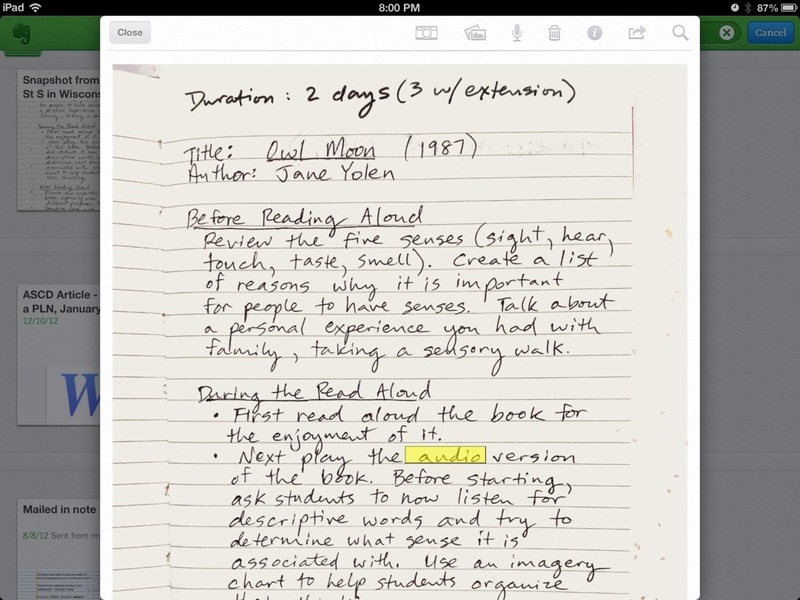 The Evernote technology is able to “read” your handwriting and make it searchable within your notes. As a principal, I could document meeting notes electronically and not having to lug around technology all the time. Students could also potentially use these notebooks to curate their writing and create digital portfolios. Pretty cool, right? My handwriting is not the best, yet Evernote still managed to capture the appropriate word. When I showed my notebook to my office assistant, she asked if Evernote could read handwriting in any Moleskine notebook. To find out, I used my read aloud Moleskine notebook containing notes on different books I like to share with students. Picture taken and new note created, I searched for “audio”. As you can see, it does work. This bears the question: Is the Evernote Smart Notebook worth it? I would say yes. You need Evernote Premium to be able to search within images and PDFs. Three months of the Premium subscription comes with a Smart Notebook ($30). In addition, these specialized notebooks have different stickers you can put on a note (see second image). Each sticker can be customized to digitally associate with an Evernote notebook and tags within your account. These stickers could be a real time saver. Even though a regular Moleskine notebook is half the price ($15), the Evernote Premium is nice in that you get a lot more storage – 1 GB a month instead of 60 MB. It’s a nice way to try out Premium and the sticker technology. However, if you already subscribe to Evernote Premium ($45/year) and don’t mind taking a few extra steps to organize your handwriting, the technology appears to scan either type of page. Have you tried the Evernote Smart Notebook? What has been your experience? Please share in the comments. Well thanks a lot Matt…..now I have another new App I have to get!! This does look very cool. I like the idea of being able to search your notes or docs for keywords, even hand written notes. I think I will be checking it out. Thanks for the recommendation! I am going to use it for all my notes and meetings for the next couple of months. I think I will attend better to what I should be focused on, and maybe not get distracted by email or social media. To make certain notes easier to find, I am adding hashtags behind them, such as “#intervention”. I think a teacher could use this Smart Notebook when conferring with readers and writers. He/she can write down anecdotal notes and data, then scan in their writing later into Evernote. Every student could have a digital notebook or portfolio in which to house their notes for later retrieval and lesson planning. Another nice feature is I don’t have to organize this Smart Notebook into categories. I can categorize my handwritten notes later in Evernote. That means I can write information sequentially, front to back, and organize later. Thanks for your description of the product. I use my iPad for note taking directly to Evernote. I like the idea of the note book but am wondering why I would need it. Perhaps someone can tell me what the advantages are. I am looking for an excuse to buy it. I keep dreaming of getting the Smart Notebook. I love the aesthetics of it. I think it would be quite useful in my field (IT) for tracking daily assignments, projects, and studying for upcoming tests and events. I plan to purchase one for each of my staff members next year. We plan to use them as conferring notebooks, to document notes about student learning in reading and writing. While the sticker technology is not awesome, I really like the concept of being able to search for keywords within my own handwriting. I am hoping to talk my boss into them if I am still at the same job in the fall, as he is definitely pro-technology. Are all the teachers in your school on Evernote as well? How did you integrate that? Was there training involved, or was it a figure-out-as you go? I know Evernote is intuitive, but for some people that is harder than others. 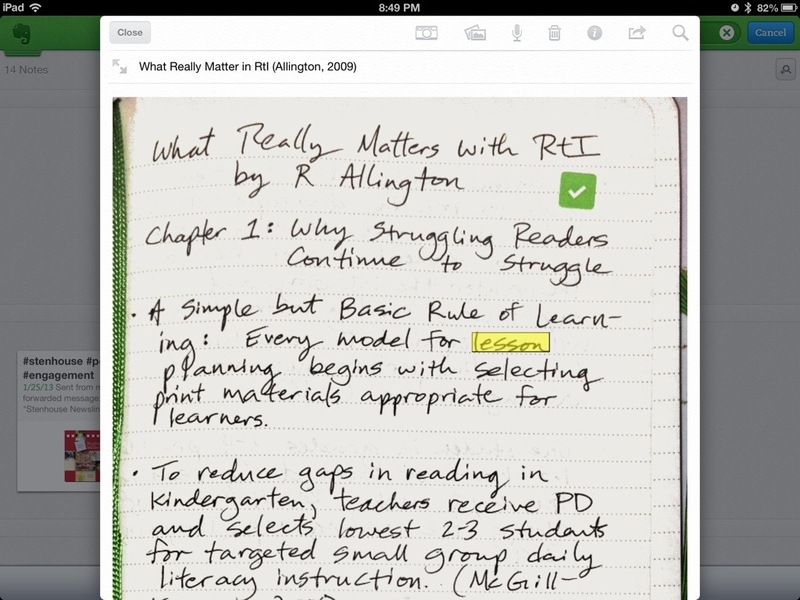 All teachers will use Evernote to capture student learning and develop digital portfolios. We will have three training sessions for my staff in the fall. Good luck in your potential purchase.